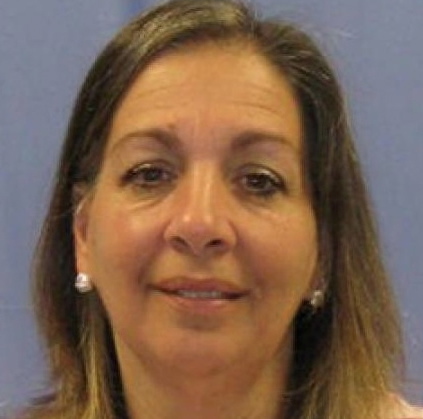 Embattled Chester County Magisterial District Judge Rita A. Arnold resigned from her position Tuesday after being arrested. In July, Magisterial District Judge Rita A. Arnold pleaded with the state Court of Judicial Discipline to let her keep her “dream” job at a sanctions hearing, and it agreed, citing her extreme remorse and dispensing a month’s unpaid suspension. On Tuesday, less than eight months after she returned to her elected post, the 56-year-old jurist resigned after her arrest by state agents, a news release from the Pennsylvania Attorney General’s Office said. The release said her arrest follows allegations that she concealed a citation in order to protect one of her sons from a potential probation violation, the same accusations that prompted the complaint by the Judicial Conduct Board in February 2012. According to the state’s criminal complaint, on Jan. 19, 2010, an altercation occurred at Arnold’s Downingtown home between Arnold’s son, Forrest “Forrie” C. Solomon Jr., who has a 12-year history of convictions ranging from indecent assault to drug offenses, and his half-brother, Jonathan Arnold, both of whom lived with the judge. As a result of the dispute, Solomon was issued a summary offense citation, which was filed the following day by a state trooper in Arnold’s court, the complaint said. The charges state that after Arnold received the citation, she returned it to the trooper. Although the citation was immediately returned to the district court, Arnold allegedly did not docket the citation and failed to follow proper procedures to transfer the matter to another district court, the complaint said. Agents said that Arnold concealed the citation for 2 ½ months in an effort to protect her son from additional sanctions with the Chester County Probation Department, even instructing an employee to “hold on to this” because Solomon had “a probation hearing coming up and she didn’t know if this would affect it,” the complaint said. After her son was in rehab and after questions from police about the docketing delay, Arnold, without the required knowledge or approval of Chester County President Judge James P. MacElree II, docketed the citation using her computer username and password, and then ordered an employee to transfer the citation to District Justice Mark Bruno’s court, according to the criminal complaint. Bruno was suspended in February, accused in the Philadelphia Traffic Court ticket-fixing probe. Arnold is charged with one count of tampering with records or identification and one count of obstruction administration of law or other governmental function, the release said. The case will be prosecuted in Chester County by Senior Deputy Attorney General Susan DiGiacomo of the Attorney General’s Criminal Prosecutions Section. At her sanctions hearing in July, Arnold did not contest the facts, an acceptance of responsibility that was noted by James P. Kleman Jr., the attorney who presented the case for the Judicial Conduct Board. Kleman said Arnold’s actions began as “a misplaced sense of maternal duty” but escalated into inexcusable dishonesty. However, he said her unblemished record and her acknowledgement of wrongdoing made a public reprimand and censure an appropriate result. Arnold told the panel that she put her son’s citation aside initially because she was embarrassed, wondering “where I went wrong as a parent when it came to Forrie.” She attributed the fact that he has been “in and out of rehab” to his father’s death at a young age. “I know how it was handled was wrong,” she said of her son’s paperwork, adding that she was devastated by the impact her actions had on her family.